I saw Flamingos everywhere at the Creativation Trade Show and they are just so cute! 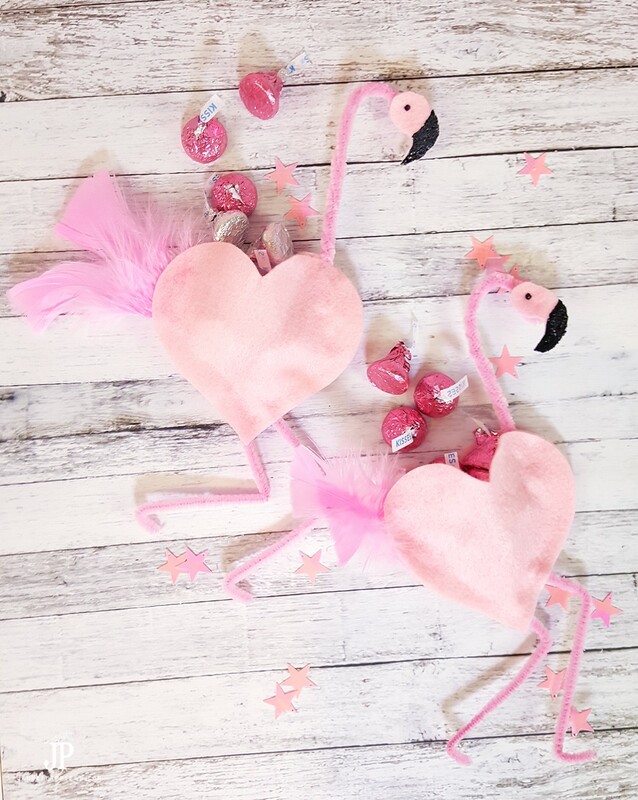 These adorable flamingo party crafts are easy to make and perfect for a unique craft for Valentine's Day. We'll use the same techniques to make both a flamingo straw and a flamingo candy pocket. You don't have to save these for Valentine's Day – they'd be oh so cute for a summer party too! This post contains affiliate links. 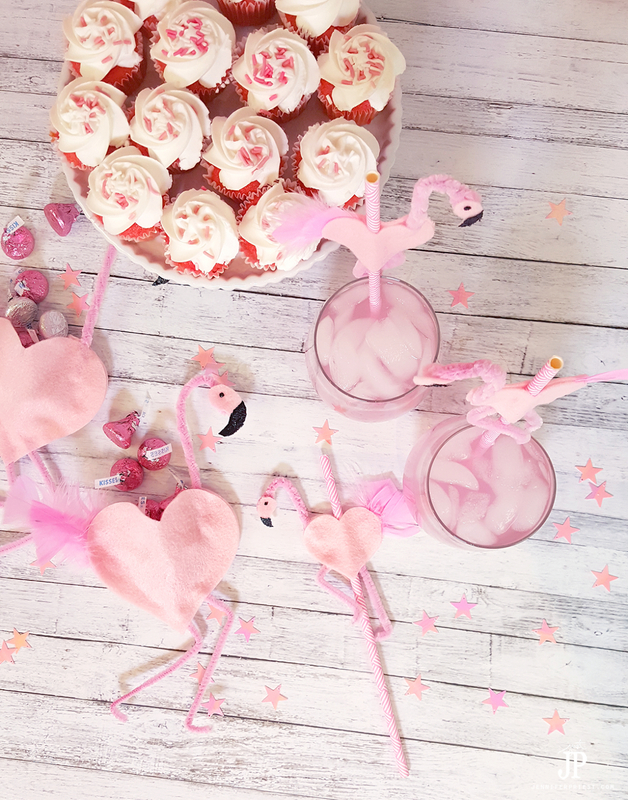 The supplies for these DIY Flamingo party crafts are easy to find at your local craft store, Target, or Dollar Tree. I was provided some of this product for free in conjunction with my work with craft manufacturers Kunin, AdTech, iLoveToCreate, and Sizzix. The straws are so cute in a glass of pink lemonade! 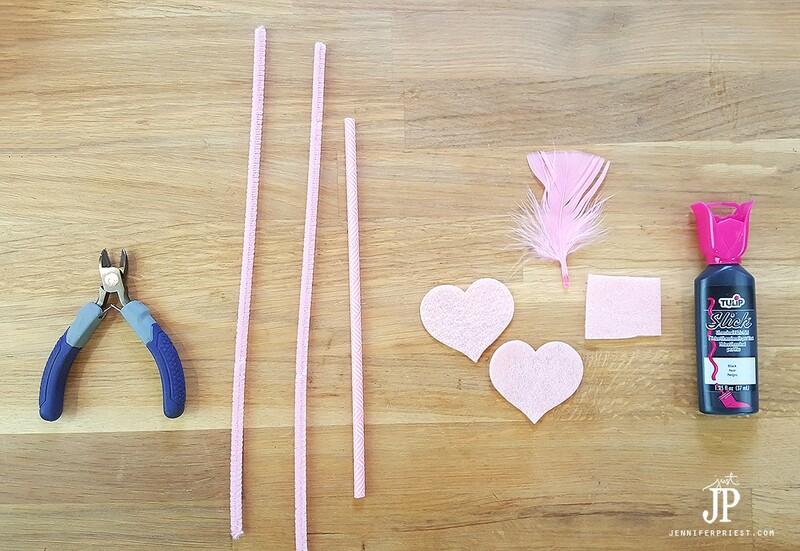 The best way to make these flamingo party decorations is by assembly line fashion. Die cut all of the hearts. You'll need two hearts in the same size for each straw or candy pocket. use large hearts for the candy pockets. Glue on the feathers to the heart body. If the feathers are long, cut them to 1.5″ long for the straws. Twist the chenille stems into a neck and legs. Hot glue those to the heart body. Add the straw in the middle of the heart if making a straw. Hot glue a second heart on top to sandwich everything in the middle. When making the pockets, only glue the straight sides of the heart together, leaving the bumps side (top) open. Cut a piece of felt into the shape of a comma (,) and glue to the place where the head goes. All Tulip paint for the beak and eye and allow to dry for 2 hours. Don't these straws look so cute in glasses of pink lemonade?! 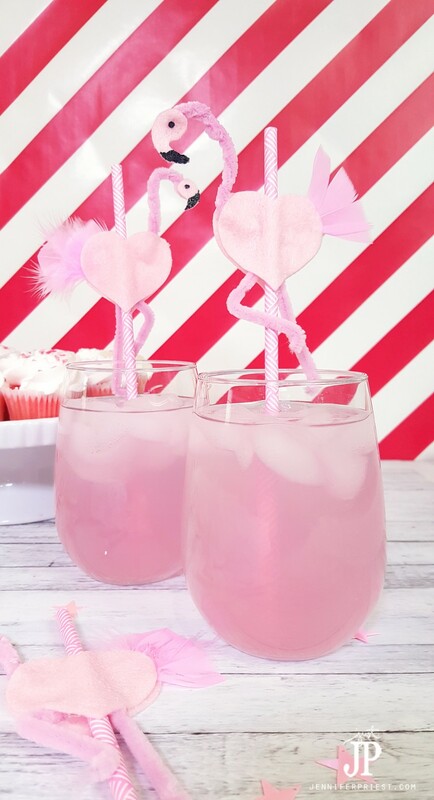 I hope you consider making these fun flamingo party crafts for Valentine's Day or a summer party. DIY Mailbox for Valentine’s Day! These are such fun! I absolutely love them! ——-> I’m almost heading out the door to buy pink pipe cleaners and felt – lol. I have added it to my google+! Thanks for sharing. I love these!!! The flamingos are so cute! Great job!!! These are soooo cute!!! I love flamingos! Gosh Jennifer, they are too cute! I am a member of a club that hosts a birthday party every February. These would be fabulous for that event. Pinning for the next time I am on the Feb. committee. Thanks for sharing with SYC. This is fantastic, really fun and you could even make some huge ones to hang on the front door or over the dessert bar. Thanks so much for sharing on craft schooling Sunday, and would love it if you’d include my linky party button as well, the code is in my side bar. Thanks so much! They are lovely!! 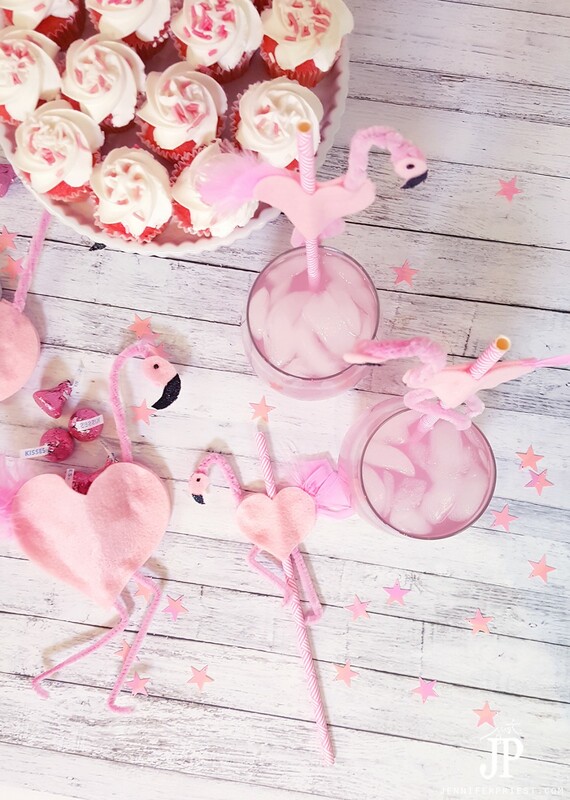 I would love to make a party flamingo related to make some! Oh the cuteness! Am pinning these foe an Alice in Wonderland Party!